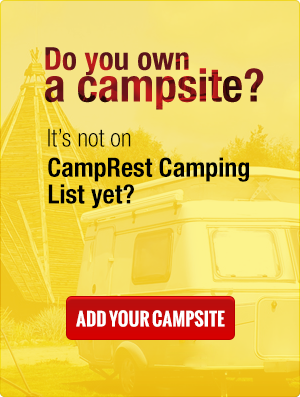 The qualifications required to drive different types of campers are listed here. The case gets a bit complicated in the case of caravan, however we’ll try to explain that. But first a little bit of theory. Category B, enables us to pull a caravan with a vehicle whose GVW (with a caravan) doesn’t exceed 3500kg (GVW of a car + GVW of a caravan cannot exceed 3500kg). Please note that GVW of a caravan cannot exceed the Curb Weight of the towing vehicle, as well as the valuedetermined in the position Q1 in the registration card. Under the Vienna Convention the GVW of the towing vehicle and a caravan may exceed 3500kg (with 4250kg of maximum weight), but the caravan must be light, and its GVW must not exceed 750kg. If you want to pull with such vehicle a caravan with the GVW of 751kg, you need to have a driving license category B + E. This category allows you to pull a caravan which GVW does not exceed the Curb Weight of the vehicle (but with the vehicle of GVW up to 3500kg) so the maximum weight of the vehicle unit must not exceed 7000kg. Nonetheless, you should always check the registration card much the vehicle is able to pull with regard to above-mentioned. GVW (Gross Vehicle Weight) - is the maximum weight for a vehicle recommended by manufacturers, including: the weight of the vehicle, passengers, all cargo and fuel and other fluids. CW (Curb Weight) - Is the weight of the vehicle which does not include passengers, cargo or any optional equipment. To drive such unit of vehicles is enough to have a driving license category B, because the sum of the GVW does not exceed 3500kg, and the GVW of a trailer does not exceed the CW of the towing vehicle. To drive such unit of vehicles it’s enough to have a driving license category B, because the sum of the GVW does not exceed 3500kg, nonetheless the caravan has to be equipped with an overrunning brake. You cannot drive such unit of vehicles, because the GVW of the caravan exceeds the CW of the towing vehicle. To drive such unit of vehicles you must have a driving license category B+E, because the sum of the GVW amounts to 4200kg. You have to also remember that the whole unit exceeds 3500kg, and we have to pay additional toll. In Poland it’s obligatory to have the Viatoll system which automatically pays the toll, and vignettes when we are abroad.